The pull-up is one of the simplest exercises that can be done virtually everywhere. All you need is a bar to grab on and pull up. Yet, at the same time, the pull-ups and it’s numerous variations are also one of the exercises that deliver the best results in back development, especially when it comes to your lats. And if you really want to get your back in perfect shape, you cannot rely simply on pulldowns and machines. 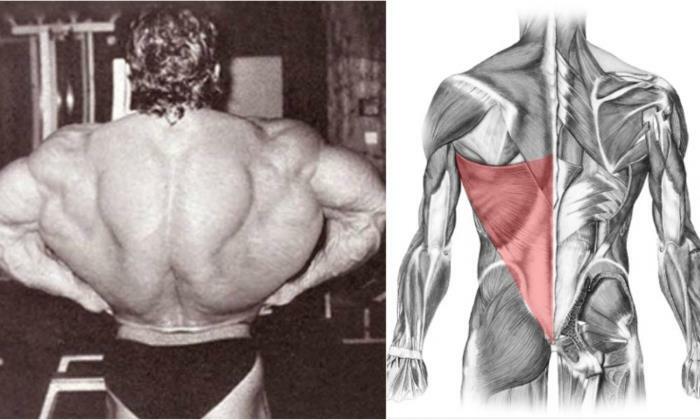 Still, many beginners, and even advance gym goers, chose to shy away from this killer back routine. This is probably due to the fact that pull-ups can be really demanding. However, in the world of muscle building, it’s the hardest work that delivers the best results. Broadening your pull-ups repertoire is absolutely essential if you want to develop your lats. Pull-ups might be the king of lats exercises, but at the same time they are very demanding for your muscles. At the same time, while cheating on their performance may help you in the beginning, and could be tolerated in the last couple of reps in the set, it won’t get you far on the long run. 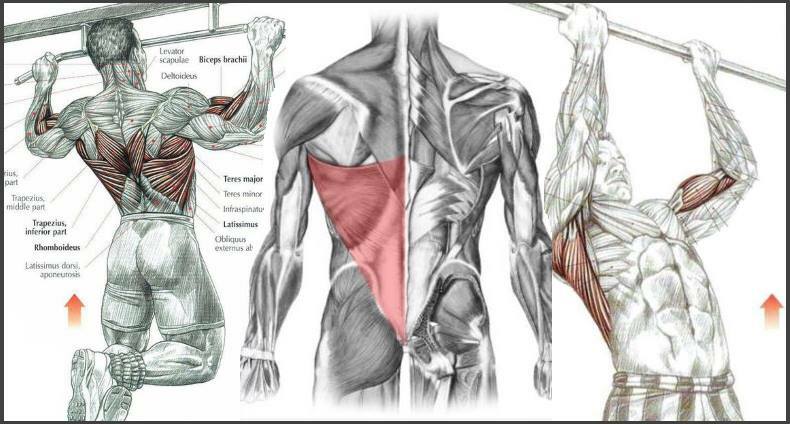 As a large muscle group, the lats need to be targeted from different angles. That’s why you need to use many different exercises that add variety to the movements. One of the greatest advantages of the pull-ups is that they also activate great many other muscles that contribute in the movement. In other words, you don’t only get to work on your lats, but you also rip the benefits of faster muscle growth. If your goal is building an awe inspiring back, try our list of 6 killer back exercises. Including them in your routine will make your lats fly. Though at the beginning you might not be able to do more than few reps per set, with consistency, determination and precise execution, you’ll soon be able to reach the dozen mark. This exercise focuses on the upper lats and teres major. The wide-grip pull-up hits the whole length of the lats, but it’s mainly focused on the top third, making it perfect exercise for building your width. Because you are using a wide grip, it’s range of motions is more limited compared to the other pulls. Due to the open angle of your arms, the biceps involvement in this exercise is rather minimal. Perform this exercise by pulling as high as you can, taking your chest close to bar. At the top of the motion squeeze your shoulder blades together. Ideally, you should aim for doing about 50 reps till muscle failure. Split them in as many sets as you need to reach that number, but it would be preferable to do them in as few as possible. Once you’re able to do the 50-reps mark in less than five sets, you can start adding weight. This exercise focuses on the upper-middle lats, rhomboids, rear delts. In addition to targeting the above mentioned muscles the shoulder width variation of the pull-up also activates the brachialis and brachioradialis. Since your hands are placed closer to each other, you can execute a wider range of motion, and as a result the focus of the pull moves to your lower lats, with the upper lats still handling most of the weight. For best results you should always try to lower yourself all the way to the starting position with arms fully extended. Since this exercise calls for a greater involvement of your biceps, you need a strong grip to execute the movement. If your forearms are not up to the task, you can compensate by using straps that will help you complete the sets. Aim for 10 to 12 reps and at least 3 sets. Once you find this easy, start adding weight. If, on the other hand, you find it hard to complete the sets, you can cheat the last 2-3 reps by using a kipping pull-up. This exercise focuses on the upper lats, teres major, biceps brachii. The kipping pull-up was at first introduced for training the athletes to use the body momentum in alpinism and gymnastics. With the recent popularity of CrossFit, the exercise became popular again. However, you should have in mind that although the lats and upper back are highly involved in this exercise by initiating the movement, it can reflect badly both on your form and on your capability to handle strength exercises after performing it. This is due to the nature of the movement, which can trigger fatigue. If you are aiming for building your size and strength, we recommend doing this exercise as a finisher at the end of traditional pull-up set. Once you feel the failure approaching, do 3 to 5 kipping pulls. However if you’re inexperienced with this movement, make sure that you begin practicing them with the help of an experienced coach. The kipping pull-ups can place a great strain on the shoulder joint muscles, which can result in injury.